Gravity Wars is a turn-based artillery game for the Amiga and PC originally written by Ed Bartz in 1987. 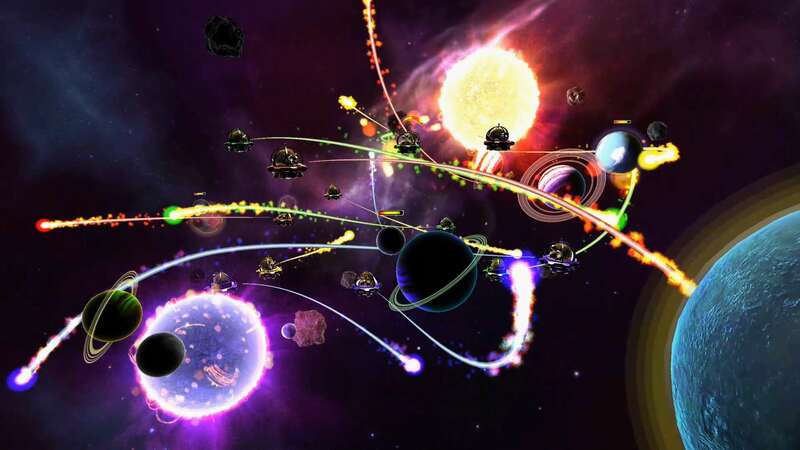 Unlike the first artillery games, Gravity Wars has 2D gravity from planets. 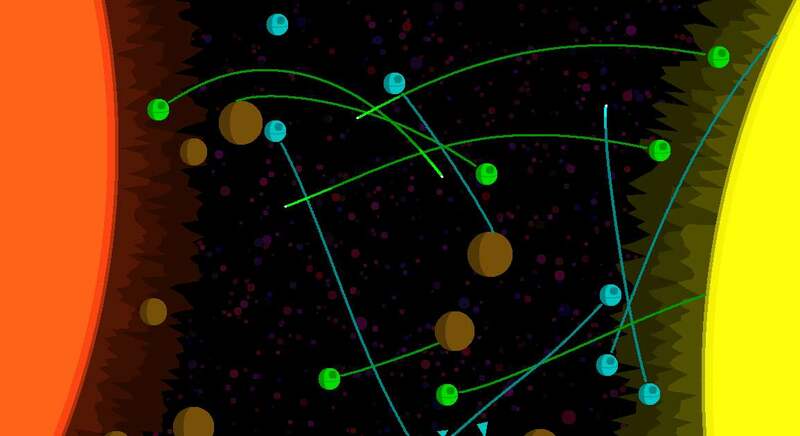 The game consists of two spaceships firing projectiles at each other using an angle and velocity. 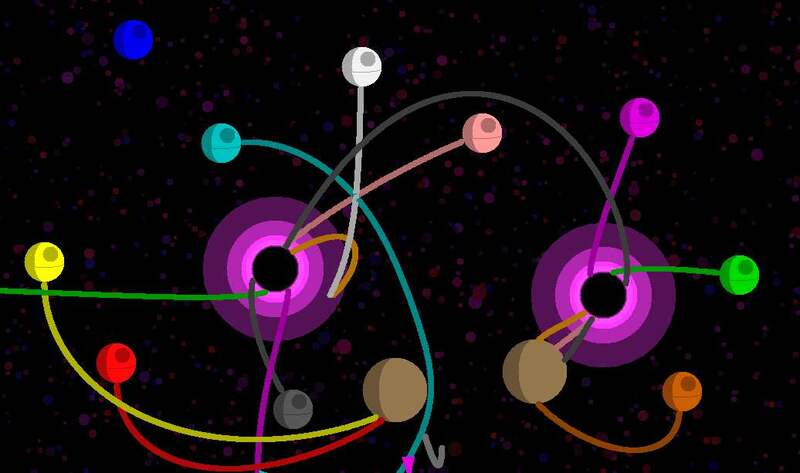 Randomly scattered planets across a 2D system gravitationally attracting the projectiles make shots tricky, with the shots describing chaotic paths. The player's enjoyment is derived from the skill required to achieve a successful hit and the surprising orbits resulting from shots that can result in unexpected own goals. With its simplicity and aesthetic beauty it inspired re-makes with the same name. Mammoth Gravity Battles has a strong single player campaign, with varied missions and a range of opponents to defeat. Missions include targeting specific asteroids/planets, destroying a well defended base, defending a convoy and defeating the deadly missile cruisers. Multiplayer is all about battles. 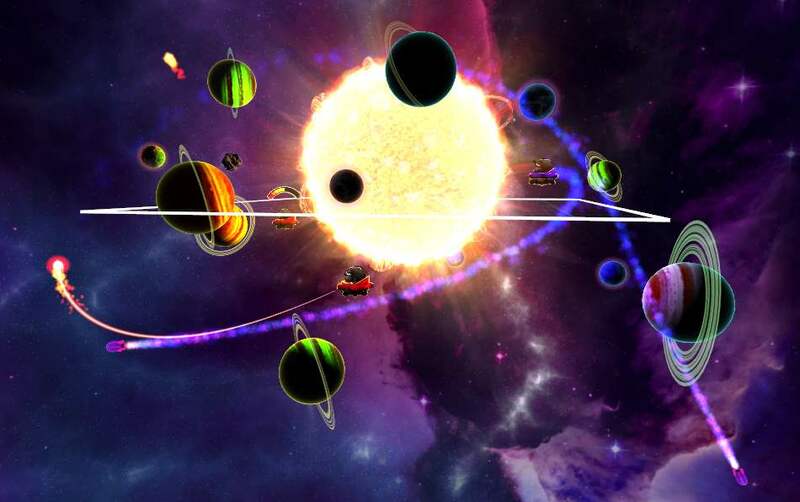 Battle friends in a simpler 2D layout or more demanding 3D layout, you can completely customise the game to your liking, setting everything from number of planets or strength of gravity, to the types of weapons available. 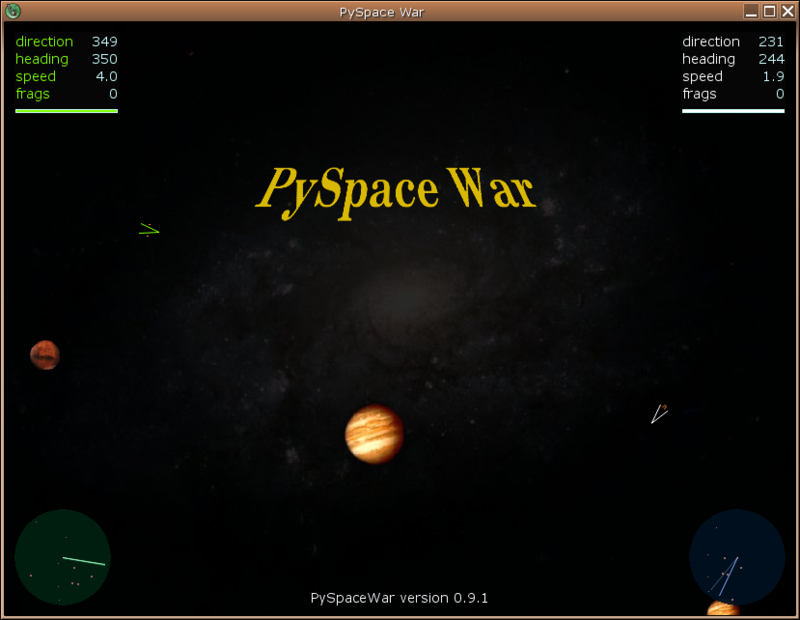 Online java version, with up to 12 players, and multiple ships per team. 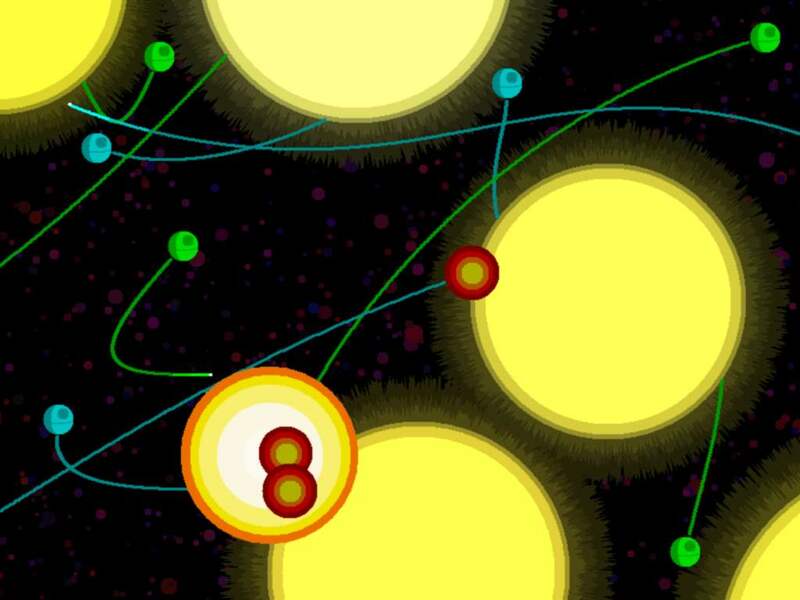 Death Star Battles improves on the origional gravity wars with a few features; it has diferent types of space body suhc as planets, starts, balack holes, wormholes, white dwarfs etc. It also has a tornament mode where points are accumilated over several games. The same game is called Gravity Battles on some sites, and is being re-written as a sequal Mammoth Gravity Battles The website www.deathstarbattles.co.uk has a fair bit of detail about the game.